There are currently 25,178 users on this website. 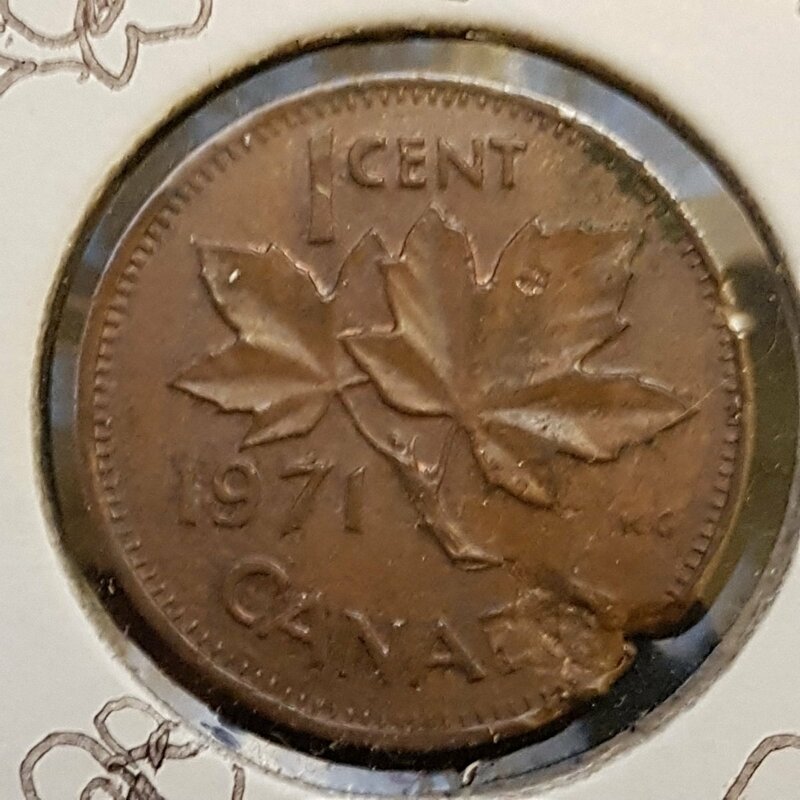 pictured here is a 1971 1 cent flawed planchet...but with an embelished 2x2. I was working through a lot of error coins with my young daughter nearby. 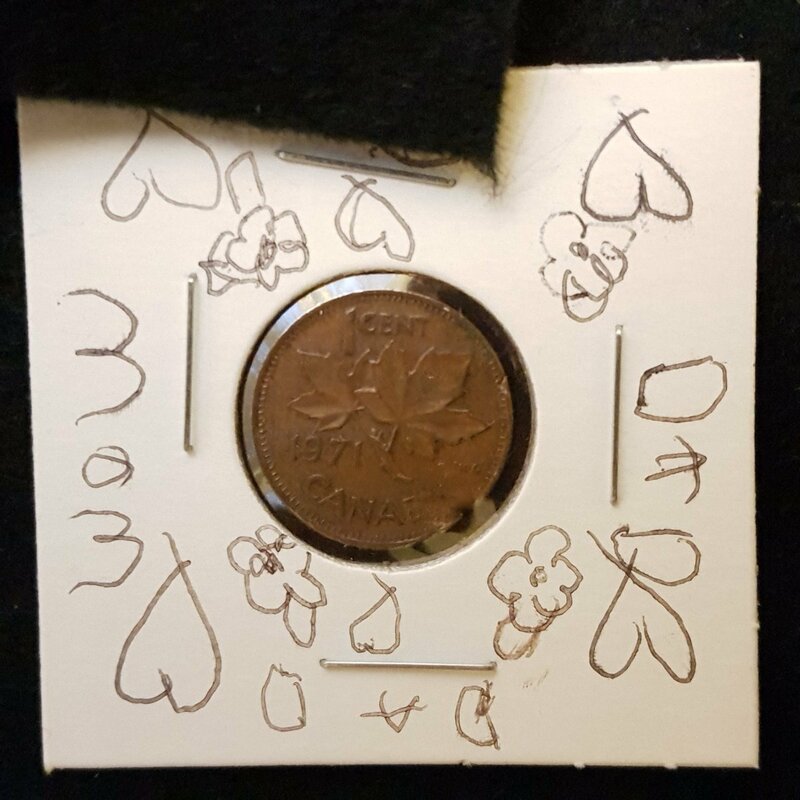 she watched me put coins into 2x2 holders and then write on them and put them into a box to file later. She asked me if she could do one too. I thought to myself that I would just redo that coin later when she wasn't around. I watched as she carefully put it in the 2x2 and stapled it shut and then she labeled it and put it in the box while I was doing something else. 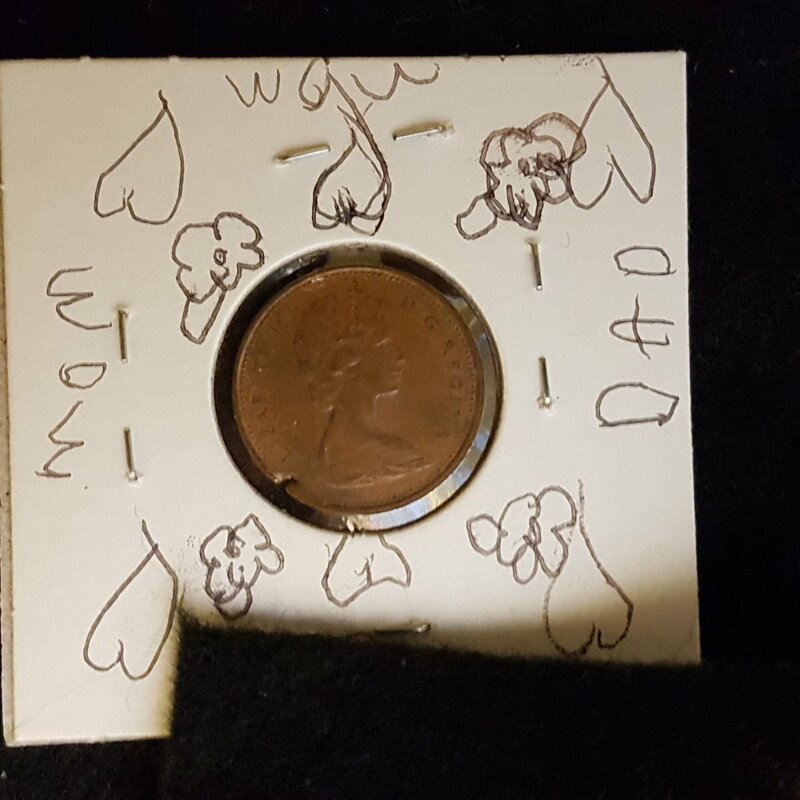 This is what I discovered weeks later in that box...this coin will never leave this holder and will always stay in my possession. That is special! Thanks for sharing it. Yes a keeper for sure, might even want to put the 2x2 in a plastic envelope might help preserve the ink? Now this is when "slabbing" adds value! This is a fantastic Christmas present... The days where the kids give you these types of things are so fleeting... before you know it, she will be off to college. 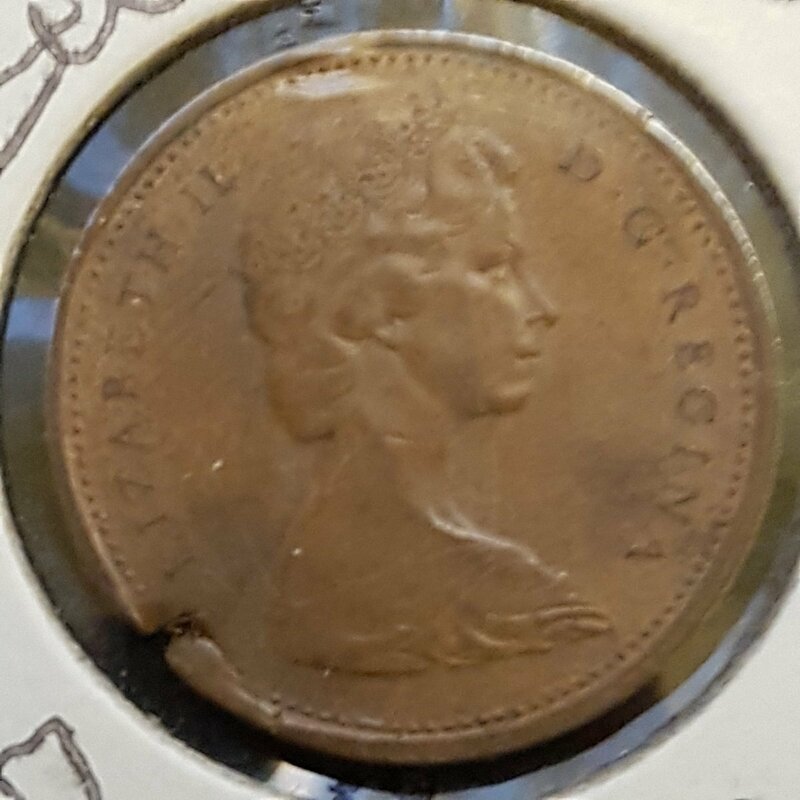 A true treasure for you 2 to share. . And a nice coin to boot. .
That is awesome... thanks for sharing! There's a lot of love on that 2X2. as you can see...hearts, flowers, Dad, Mom, and her own name (which I covered up for privacy reasons). It's funny how a little thing like this can tug on the heartstrings. Thanks for the kind words and Happy New Year to everyone! thing like this can tug on the heartstrings. Definitely a tug or two .